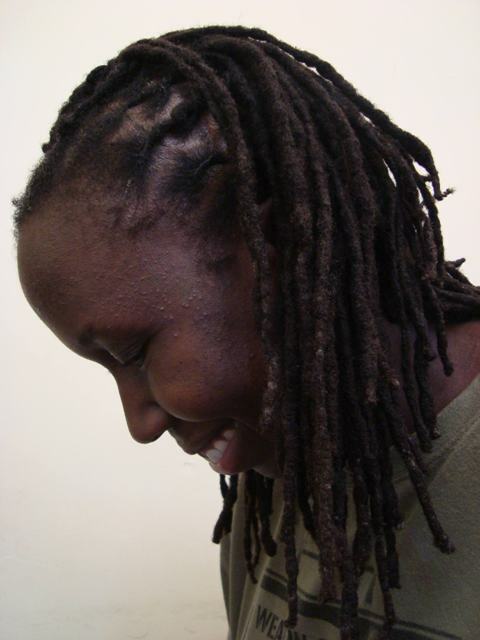 JC Niala, from Kenya is one of the playwrights whose work is being read at the Tiata Fahodzi’s African Play Reading Festival. Her play, The Strong Room explores the subject of relationship and power between the rich and the poor within African societies. In her own words, Niala explains whyAfrica’s strength is her diversity. Belinda: What attracted you to theatre and elaborate on your relationship with the stage as a medium of expression? JC Niala: In Africa, theatre has always been used as a profound way to communicate with and educate the wider public. In my tribe (the Luo) we have a long history of using theatre as a way of conveying messages with many layers. For me personally it is a medium that allows me to have the conversations with many members of my society that I do not otherwise get to have on a daily basis. Belinda: What’s the inspiration behind your play, The Strong Room? JC Niala: I wanted to write a play which explored issues of social class, status and ‘the other’ which are central issues not just in Nairobi Kenya but also pertinent to life in the UK at the moment. Belinda: How would you describe the work Tiata Fahodzi is doing? JC Niala: I would describe their work as transformational. Tiata Fahodzi are taking old and universal themes and re-visiting them in a fresh and modern context. People can expect to be surprised. Belinda: Why is it important to explore African focused subjects and issues on the British theatre stage, at a time when you have a huge population of Africans on this side of the ocean? JC Niala: Simply because African themes are also Universal themes. Many people, like myself are no longer confining themselves to a country or even continent but moving between the two. On one level this is not new but what’s new is examining this phenomenon and looking for the links across the cultures in a unifying way. I’m thankful for the differences that still exist but let us also welcome the similarities that bind us in our common humanity. Belinda: And how crucial are theatre companies like Tiata Fahodzi in bridging that gap and making it happen for the writers and audiences alike? JC Niala: Tiata Fahodzi provides opportunities where they do not exist. They are willing to work outside a traditional British theatre framework, making it possible for voices that might otherwise not be heard to get a platform. Working with Tiata Fahodzi has been a critical part of my development as a writer. They have given me a deeper understanding of this magical process. Belinda: Tiata Fahodzi has come along way with its mission to produce world class theatre which conveys, celebrates and challenges the cultural experiences of Africans. Serving an all-inclusive British audience, this year, you are among a host of writers from across the board, Kenya, Zimbabwe and Nigeria. Why is it important to have a cross section of representation of the African experience from different African nations based on the stories you have to tell as individual writers? JC Niala: Africa’s strength in storytelling is her diversity. There might be commonalities of experience but I can say having lived in both West and East Africathe lens through with the world is viewed is not at all the same. This makes for different ways of self-expression and engaging the audience. Belinda: How would you describe the current state of the contribution of African playwrights to the theatre landscape of Britain? JC Niala: Whilst there have been a great increase in the number of programs and projects over the last 10 years, there is still a lot more room for us to contribute further. Belinda: How difficult or challenging have you found your quest to continuously tell your experience of the African story/stories you have inside you on the modern day British theatre stage? JC Niala: The challenge comes because my stories are rarely stereotypically what a Western audience would consider to be African. For example I rarely feature safari type stories or stories that are ostensibly about poverty and suffering. Belinda: The line up of plays this year explores various themes, from love to relationships among others. Your play explores the theme of relationship and power between two people, one rich and the other a burglar through the lens of modern Kenya life. A) What was it about life in Kenya today, that you want to explore, especially, within the context of haves and have nots? JC Niala: The fact that inKenyatoday, people live cheek by jowl with each other despite huge differences in their material circumstances. An executive 5 bedroom 4 bathroom house with a sole occupant on the same compound as a 1 room servant quarter that houses a family of 6 with an external bathroom that doesn’t even have running hot water. The fact that it is still called a servants quarter in 2011. B) What do you want your play to provoke in the audience? JC Niala: Understanding of ‘the other’. When I produced the play inNairobiearlier this year, it sparked a conversation that is still ongoing. I was fascinated by the audience’s reaction and am still receiving emails from people who want to be heard in their understanding of the current situation. C) What is the overall message or point of discourse that you would like to see evoked or arise from this year’s festival? JC Niala: That African playwrights can bring to British Theatre the possibility of examining their own society or experience of the other within themselves in a new way. Also that ultimately they can be entertained. 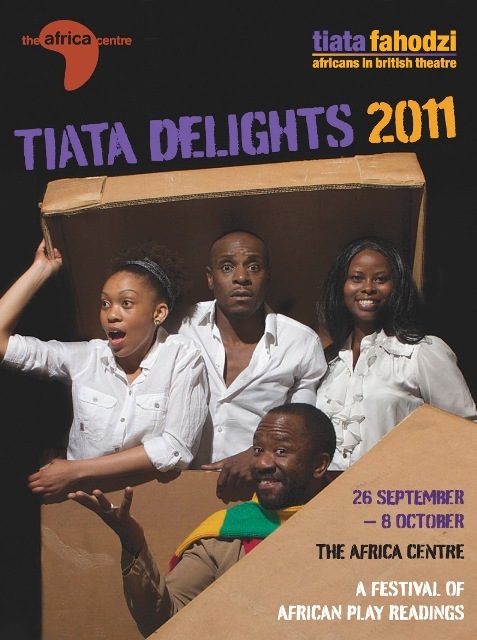 JC Niala’s play is on at the Africa Centre on Friday 30 September and Saturday 1 October. This entry was posted on Thursday, September 29th, 2011 at 8:41 pm	and is filed under Africa, Art and Culture, Black Britain, Interviews, Journalism, Theatre Interviews. You can follow any responses to this entry through the RSS 2.0 feed. You can leave a response, or trackback from your own site. Your play looks great and you come across as a writer after my own heart. I would have loved to see your play reading but already have other engagements this weekend. Hopefully, I can see a performance of one of your plays in future.